Enjoy some engaging speakers at this new event at Hot Docs Ted Rogers Cinema. The weekend-long mini-festival brings doc-makers and documentary subjects to the Hot Docs cinema for screenings and interactive conversations. Highlights include Who You Are Is Gorgeous from Oscar winner Barbara Kopple (Miss Sharon Jones! ), who comes to Toronto to debut her new YouTube Red documentary; a conversation with Naomi Klein (This Changes Everything), and the premiere of a new music video by Tanya Tagaq (Maliglutit) with the star in attendance. -Runs March 3rd to 5. More details. In an effort to stick it to Donald Trump and celebrate the lives of humans around the world, Hot Docs presents a seven-film series in which each screening offers a documentary from a nation whose citizens were denied entry into the U.S. due to a presidential executive order issued on January 27, 2017. Highlights include Beats of the Antonov (Sudan), Sonita (Iran), and The War Show (Syria). Filmmakers and guests will participate in post-screening conversations at select screenings. All tickets are FREE, so there’s no excuse to miss this mini-festival. -Runs March 6-8. More details. The world’s largest film festival devoted exclusively to Canadian content, KCFF is heaven for Canuck film buffs. This year’s fest is particularly strong on the non-fiction front. POV presents Hugh Gibson’s excellent debut feature The Stairs at the festival, while other KCFF selections such as All Governments Lie, Angry Inuk, Those Who Make Revolution Halfway Only Dig Their Own Graves and We Can’t Make the Same Mistake Twice are all POV approved. Read more highlights from the festival here. -Runs March 2-5. More details. Stock up on St. Patrick’s Day spirit with a little old luck o’ the Irish this weekend. TIRFF opens with the world premiere of Puck of the Irish (Poc Na nGael), a rousing doc about the relationship between Irish integration and Canada’s national (non-documentary) past time: hockey. Also screening at the festival is the powerful documentary How to Defuse a Bomb: The Project Children Story, a poignant film about a project to rescue the children of Ireland from “The Troubles” even by providing them with a few weeks of peace and safety in the USA. Liam Neeson narrates this compelling film, which features exclusive interviews with Bill Clinton and offers a timeless essay the choice to change the world through compassion. -Runs March 3-5. More details. The Vancouver International Film Festival’s Vancity Theatre hosts this premiere event in conjunction with Reel Canada to honour some of the Indigenous filmmakers from within the Reel Canada catalogue. This is screening series recognises the Indigenous and Inuit of this land and the impact of Indigenous cinematic stories. The series includes Angry Inuk, Kanehsatake: 270 Years of Resistance, and filmmaker talks. -Runs March 6-7. More details. -Read more information on Reel Canada’s Before 150 Years: An Acknowledgement of Cinematic Territory program. Explore the world of food on film as Edmonton’s Metro Cinema serves up a series of culinary documentaries. Naturally, activism and eco-conservation are on the menu, but the series caters to the full palette and even includes some light-hearted and entertaining alternatives. Highlights include Seed the Untold Story and Bugs. -Runs March 2-8. More details. Perhaps the biggest smorgasbord of documentary fare appears in Belleville’s Downtown Doc Fest. This all-you-can-eat buffet of non-fiction boasts over fifty new titles. You name it and it’s probably there. In addition to many of the titles above, Doc Fest includes highlights such as Spirit Unforgettable, Cameraperson, and Lo and Behold, Reveries of the Connected World. If you missed The Missing Tourist last night on CBC Docs, you can now watch it online. The Missing Tourist tells the story of Atsumi Yoshikubo’s, a Japanese tourist who ventured to the Canadian North never to return or be seen again. The RCMP controversially concluded that the lost tourist “arrived in Yellowknife with a plan to go into the wilderness alone and become a missing person.” Is the missing tourists a sad tale in the vein of Kumiko, the Treasure Hunter or a tragedy of the Canadian wilderness. 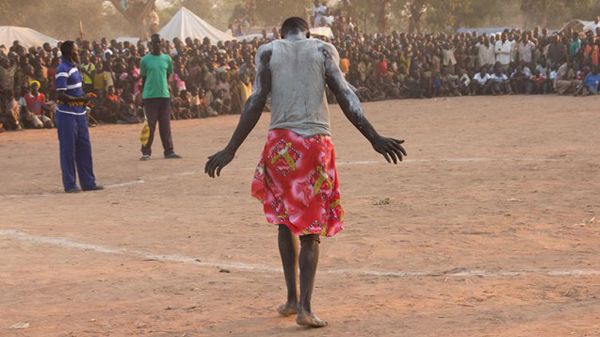 -Watch The Missing Tourist online here at CBC Docs.